We hope that you are having a great day with family and friends this Easter Sunday. This picture was captured during an Easter visit to Holland and Belgium on Tulip Time river cruise. One of the highlights of the cruise was the time spent in Keukenhof Gardens. Have you ever seen more than 7 million tulips, daffodils and hyacinths, all in bloom? Visitors from all over the world as well as the Netherlands will be visiting the Keukenhof international flower exhibition over the Easter holiday. The park is in flower and wonderful shows can be seen in the pavilions. Keukenhof is the ideal place for kicking off your Easter holiday in style. Oasis of the Seas which has been home-ported in Fort Lauderdale, FL since December, 2009 will make a trip over to Europe for routine maintenance. Before going into drydock, it will take advantage of the opportunity and offer several cruises to those wishing to cross the Atlantic and those already in Europe or wanting to sail from Barcelona or the UK. We have just received word that the world's largest cruise ship, Royal Caribbean Oasis of the Seas, will make its debut call in Southampton in October 2014. The cruises announced will go on sale in April this year. Jo Rzymowska, associate vice president and general manager, Royal Caribbean International, U.K. and Ireland, said: "Oasis of the Seas sailing from Southampton is going to be the hottest ticket in town. Bringing the world's largest and most innovative cruise ship to Europe, and specifically the U.K. and Southampton, is testament to how much the cruise industry has grown. Oasis of the Seas is the largest passenger ship in the world alongside its sister Allure of the Seas. 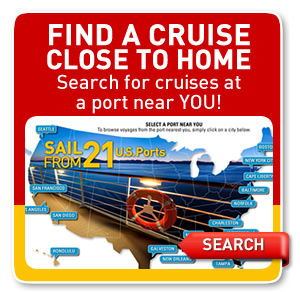 Both ships sail alternating Eastern and Western Caribbean 7-night voyages year round out of Ft. Lauderdale. Europe & Mediterranean is completely refreshed with the added variety and new itineraries. • 7 night round-trip Venice during peak summer late July & August on Celebrity Silhouette®. • 7 night open jaw Mediterranean, combinable to 14, 21, 28 nights on Equinox during June & July. 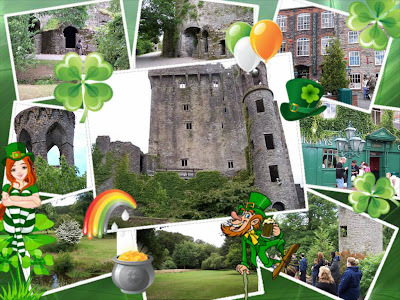 • More cruises tied to events such as British Open and 70th anniversary of D-day. • Return to the Holy Land, two sailings. • New alternative itineraries in Scandinavia & Russia, as well as, Black Sea. • Increased overnight in ports of call. Celebrity Solstice® continues in Australia & New Zealand, but will include more variety in itineraries. New San Francisco departures to Alaska on Celebrity Century®. New options in Asia and Australia. • Celebrity Millennium® extended Asia season going directly from Alaska to North Asia in the Fall. Celebrity Century® deployed as incremental ship in Asia & Australia. • Unique direct transpacific sailing from San Francisco to Sydney, stopping in Hawaii, Tahiti, and Fiji. 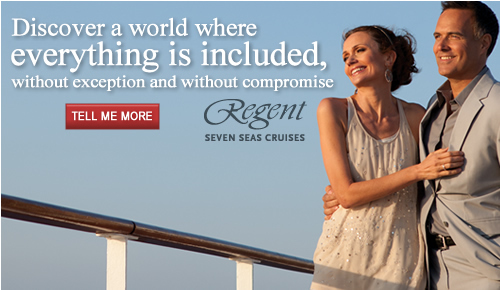 • Fall through mid January based in Sydney with voyages 7-12 nights calling upon South Pacific, Fiji, and Tasmania. • Late Jan through March offering 14 night sailings round-trip from Singapore to new destinations in Myanmar, Philippines, and Malaysia. • Finishes season in Northeast Asia with cruise to Japan & China. Northern Europe is the northern part or region of the European continent. 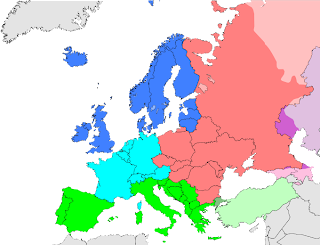 A United Nations report published in 2011 defines Northern Europe as including the following ten countries and dependent regions: Denmark (with Faroe Islands), Estonia, Finland (with Åland), Iceland, Ireland, Latvia, Lithuania, Norway (Svalbard and Jan Mayen), Sweden, and the UK (with Guernsey, Isle of Man and Jersey). Royal Caribbean International will continue to scale back its ships in Europe in 2014, deploying only eight of its 22 vessels across the pond. Demand for cruises in Europe continues to diminish as the price for air fare keeps summer travelers on this side of the pond. In 2012, Royal Caribbean had a record 12 ship (out of 22) in the region. For 2013, that number falls to nine with an additional ship dropping off the following year. Royal's 2014 Europe deployment will include the Liberty of the Seas, Navigator of the Seas, Serenade of the Seas and Splendour of the Seas in the Mediterranean, and the Independence of the Seas, Adventure of the Seas, Brilliance of the Seas and Legend of the Seas in Northern Europe. Missing from this list is Vision of the Seas. The Northern Europe and Transatlantic sailings on these ships is now open for booking. The remaining ships, which will be sailing in the Mediterranean, will go on sail March 28th. 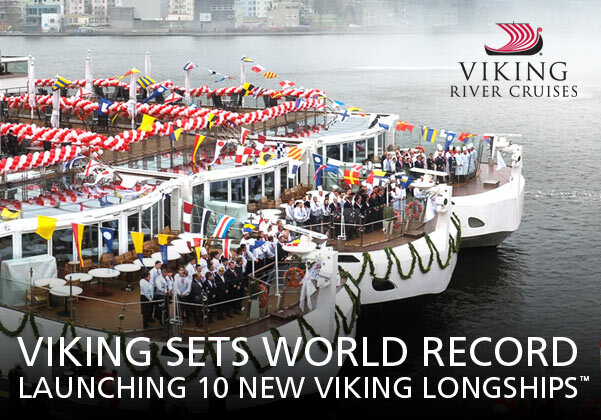 Viking marks a historic day in cruising as they become the first company to christen 10 ships at one time. Their new state-of-the-art Viking Longships—recently named "Best New River Ship" by Cruise Critic—feature the largest suites in Europe, full-size Veranda Staterooms and the Aquavit Terrace, a Viking exclusive, for al fresco dining. Four of the new vessels -- the Viking Aegir, Viking Embla, Viking Bragi and Viking Skadi -- were docked at the terminal during the ceremony. The other six ships -- Viking Atla, Viking Forseti, Viking Jarl, Viking Rinda, Viking Tor and Viking Var -- remained at the Neptun shipyard in Rostock, Germany where all 10 vessels were built. Christening attendees could see the latter six ships in a live video feed from the shipyard projected on large screens. 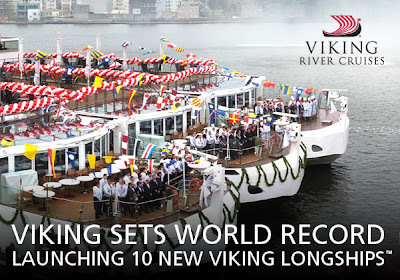 Christening of 10 new Viking Longships on March 20, 2013 was a proud day for Viking and for river cruising. Guests at the christening ceremony were treated to a presentation on the growth of river cruising & enjoyed remarks by each of the 10 distinguished Longships godmothers. To the delight of the entire Viking family and the guests in attendance, the ceremony was topped off when Torstein Hagen, Chairman of Viking Cruises, was presented with a certificate for 'The Most Ships Inaugurated in One Day by One Company,' by a GUINNESS WORLD RECORDS™ adjudicator. Explorer Suites offer a private wraparound veranda with spectacular 270° views. Combined with a living room and a large bedroom that features a French balcony, the Explorer Suites provide the most lavish stay. Whichever stateroom you choose, one thing is certain: hotel-style beds topped with European linens and duvets provide the perfect place to turn in after a full day of exploring Europe's great towns and cities. Now, with Viking's advanced design, a portion of the floor-to-ceiling windows in the lounge can be rolled aside to create a unique area that combines the comfort of the indoors with the fresh air of the outdoors. Carnival Cruise Lines' President and CEO Gerry Cahill announced that Carnival Destiny and Carnival Sunshine will extend their time in drydock in order to complete some extensive mechanical improvements in the wake of the Carnival Triumph fire and subsequent operational review. The ships will remain out of service longer than expected so the line can increase operating redundancies, emergency power and fire prevention, detection and suppression systems. Cahill had announced the fleetwide operational review at announced during last week's Cruise Shipping Miami tradeshow and this announcement comes right on its heels and the mechanical problem on Carnival Liberty which caused the ship to limp back to port. 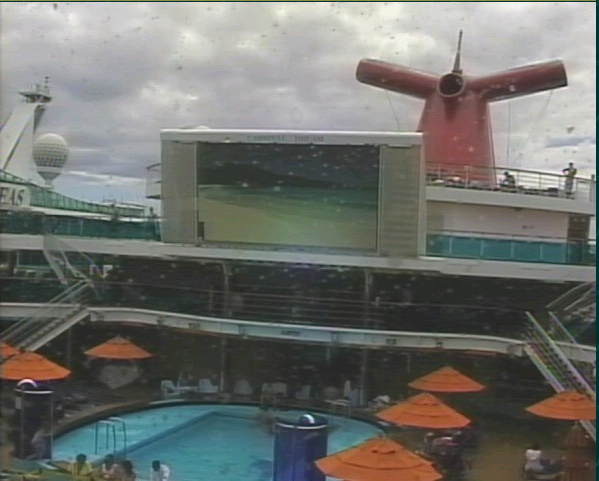 Carnival Triumph now will return to service on June 3, with 10 additional cruises being canceled. The changes they are implementing are focused primarily on improvements to better support continued power and hotel services should unexpected issues arise. In addition, we are applying new learnings and making enhancements in the area of fire suppression and extinguishing. Carnival Sunshine will now complete the full-ship makeover from the former Carnival Destiny, and will enter service May 5, following the cancellation of two European cruises. For more information about the makeover, see Destiny + 49 Days = Sunshine. In a news release, Cahill apologized for the additional cancellations but said the line is "fully committed to applying the recommendations stemming from our fleetwide review and to make whatever investments are needed despite the difficult position to impact people's vacations." “Our team of experts has worked virtually around the clock to determine the best set of solutions and rapidly develop an effective implementation plan for both of these ships,” he continued. “Moving forward, we will have the ability to source materials and schedule improvements much more expediently, thus minimizing the scheduling impact on other vessels. I would like to provide continued assurances that all of our vessels have fully effective safety systems, equipment and training in place. Additionally, our ships receive regular inspections from the U.S. Coast Guard and other regulatory authorities. Guests on the canceled voyages will receive a full refund, reimbursement of non-refundable travel costs, and a 25 percent discount on a future cruise. “Going forward, the review will focus on the balance of our fleet. While this process will take time, it is our highest priority and has the full support and resources of Carnival Cruise Lines and Carnival Corporation,” Cahill said. The image to the left was taken during our National Conference last year. 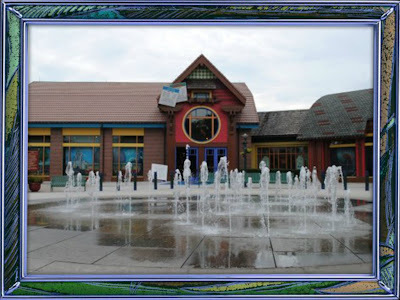 It is one of the stores in The Marketplace, a popular shopping spot in the WDW Resort's Downtown Disney. What does the Disney Imagineering team have in store for us? More shopping, dining and entertainment amid beautiful open-air promenades, meandering springs and waterfront charm. This area is about to undergo a multi-million dollar remake which will add 4,000 jobs when completed in 2016 and over 1,200 jobs during construction. The project will be completed in phases with the area remaining open during the entire construction period. On March 14, 2013, Walt Disney World announced Downtown Disney would be renamed to Disney Springs, nearly doubling the size with new shopping and dining to be completed by 2016. This digitally animated model was displayed to the press during the announcement, narrated by Walt Disney Imagineer Kathy Mangum and Walt Disney Parks and Resorts Chairman Tom Staggs. Here is a video showing artist renderings of the new Disney Springs. We're sure that is how Carnival Cruise Lines President and Chief Executive Gerry Cahill must be feeling as each day there is yet another incident of some kind in the news. It is a bit unfair to them since these types of problems occur on all lines, since they all use products from the same provider (ABB). The latest problem announced today is a propulsion problem on Carnival Legend causing them to change its current itinerary and left it limping towards port in Tampa at 14 knots (16 mph). The ship made it's port call in Mahogany Bay, Roatan, in addition to visiting Cozumel and Costa Maya earlier in the week, but will skip its planned visit to Grand Cayman and proceed to Tampa, FL, it's home port where it is expected to arrive on Sunday. 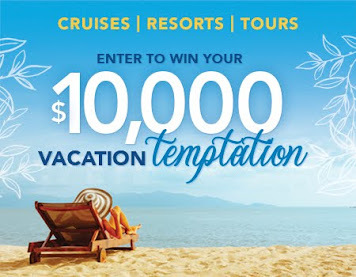 Once again, Carnival is going above and beyond by compensating passengers: Guests on the current voyage will receive a $100 per person credit and a full refund on pre-purchased shore excursions for Grand Cayman. In addition, guests will receive 50 percent off a future Carnival cruise. Carnival Legend's March 24 sailing will again replace a scheduled call on Grand Cayman with a stop in Costa Maya, the third sailing to do so, because of a problem with one of its Azipod® propulsion units. The remaining port order will also be altered. Technicians continue to work on the propulsion system. The problem doesn't impact the hotel operations, but it does cap the maximum speed of the ship which is the reason for the itinerary changes. Passengers on the affected sailing have the option of canceling and receiving a full refund or rescheduling for a future departure date. Unless passengers had their heart set on Grand Cayman, they should still experience a fun Caribbean adventure. Hopefully Carnival will be able to correct this situation soon. We'll take this opportunity to look inside the propulsion system that is used on Carnival and most cruise lines. ABB (www.abb.com) is a leader in power and automation technologies that enable utility and industry customers to improve performance while lowering environmental impact. They are the producers of the Azipod® which is used on the Carnival Legend. 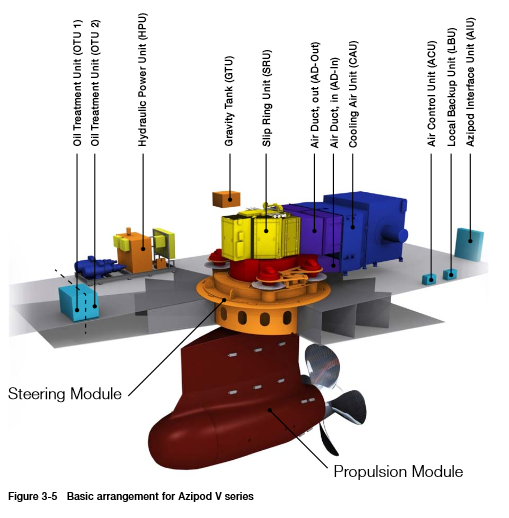 Azipod® is a podded electric propulsion unit where the variable speed electric motor driving the fixed pitch propeller is in a submerged pod outside the ship hull, and the pod can be rotated around its vertical axis to give the propulsion thrust freely to any direction. Thus the ship does not need rudders, stern transversal thrusters or long shaftlines inside the ship hull. Azipod propulsion system was introduced some 20 years ago and the system has gained a position of a major propulsion system for luxury cruise liners and ice going tonnage. The concept has many benefits. Due to the azimuthing propulsion its maneuverability is excellent, it saves space inside the vessel hull and gives a lot of freedom for ship design. Especially in ice going vessels the system improves the performance in ice operation. However, the most important benefit of the system is reduced fuel consumption and CO2 emissions. If you still want more technical details or if you are curious about what propulsion unit is on the ship you plan to sail on, see the ABB website which has all the information you'd ever want to know. To the passengers on Carnival Legend - enjoy your leisurely cruise back to Tampa enjoying all the onboard activities of the ship. 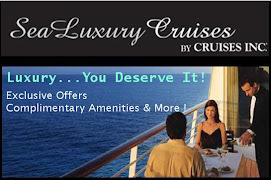 Plus do take advantage of the future cruise credit. Does this look like a ship that is in distress? 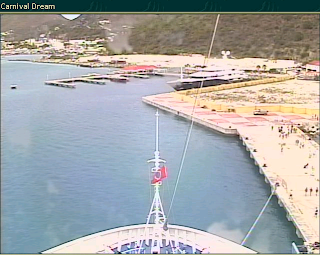 No - it is one that is in port with passengers enjoying the pool and other facilities. 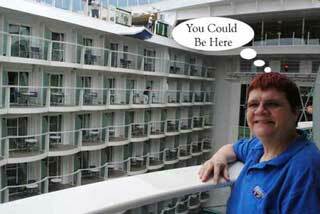 Give Carnival Corporation a Break!! This is a follow up to the breaking news story about a backup generator issue onboard the current voyage of Carnival Dream, while in port, resulting in the early termination of the current voyage and cancellation of the next one. 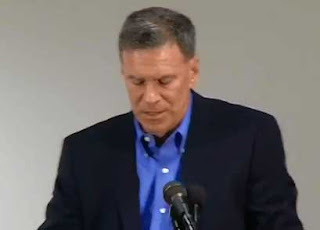 As reported on Cruise Critic, according to a Carnival spokesperson: "Based on the ship's service logs and extensive physical monitoring of all public areas, including restrooms, throughout the night, we can confirm that only one public restroom was taken offline for cleaning based on toilet overflow and there was a total of one request for cleaning of a guest cabin bathroom. Aside from that there have been no reports of issues on board with overflowing toilets or sewage. The toilet system had periodic interruptions yesterday evening and was fully restored at approximately 12.30 a.m. Thursday." Ships are in service 24x7x52 in most cases (ignoring planned dry-dock time). That means it is necessary to do regular maintenance checks and repairs at off hours while the ships are in port. This is exactly what happened in this instance when a backup emergency generator failed while being tested. This is not the main generator and it doesn't run all the ships power, so despite the media's desire to have another catastrophe on their hands - this just isn't the case. Let's compare a ship to your car. Each day you go out to your car and assume that when you turn the key, assuming you have filled it with gasoline, it will start and you'll be able to drive to your destination of choice. Periodically you take the car to your local mechanic for routine maintenance, or do the work yourself. Most of the time, the routine maintenance goes well and you don't have to do anything further, but everyone has had that dreaded phone call when the mechanic tells you ... "I found something else while I was doing your work..."
Does that mean the car manufacturer has an inferior product or you haven't been doing your job of performing maintenance? In most cases, I suspect the answer to those questions is no. It means that the car is made up of mechanical parts which eventually need to be replaced and can in some cases fail when you least expect them. Could the same car problems happen to your neighbor that has a different car? Yes. 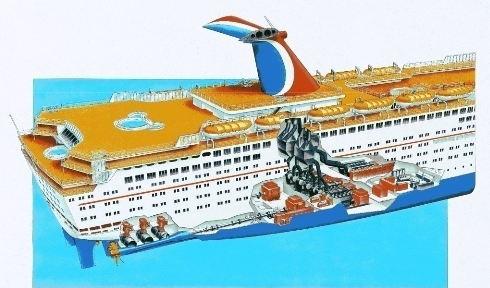 Just as you are most likely taking good care of your car, Carnival is also taking care of their ships. If your car doesn't work, you can't get to your destination. A ship is no different, so it makes perfect business sense to keep them running. 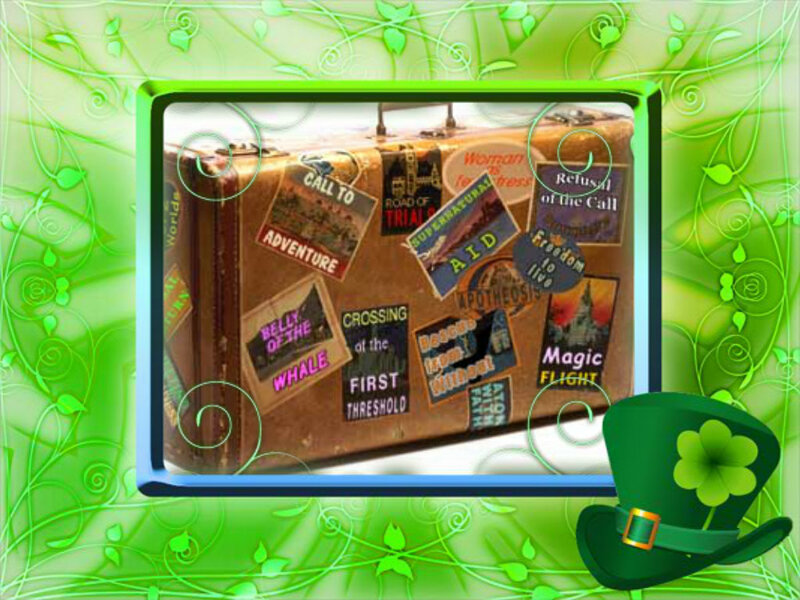 Despite your best efforts with your car, and despite Carnival Cruise Line's best efforts, unexpected things happen. When they do, plans are impacted, and steps are taken to respond to the situation at hand. While you only have your plans and perhaps a few other family members or friends to contend with, a problem on a ship is a logistical nightmare and a huge expense. When these incidents occur, the Carnival staff onboard do everything they can to accommodate the passengers while the suits in Miami, sort out the logistical nightmare. Carnival has always come through with a compensation plan for those impacted, which costs them additional money on top of the repairs. Under contract, they actually aren't required to do so by the way, but they feel the duty to take care of their guests. So, I ask the media, and any of you out there that can help spread the truth ... Please tell the story the way it is, not the way it sounds worse!! Even if there are deplorable conditions, as in the case of the Carnival Triumph, it isn't because the cruise line wanted to punish their guests and make conditions terrible. Unexpected events happen! Thank you to the Carnival Staff onboard the ship and around the globe that tends to our guests while under their care. We know that you are doing the best possible and may have to take extraordinary measures when problems arise. 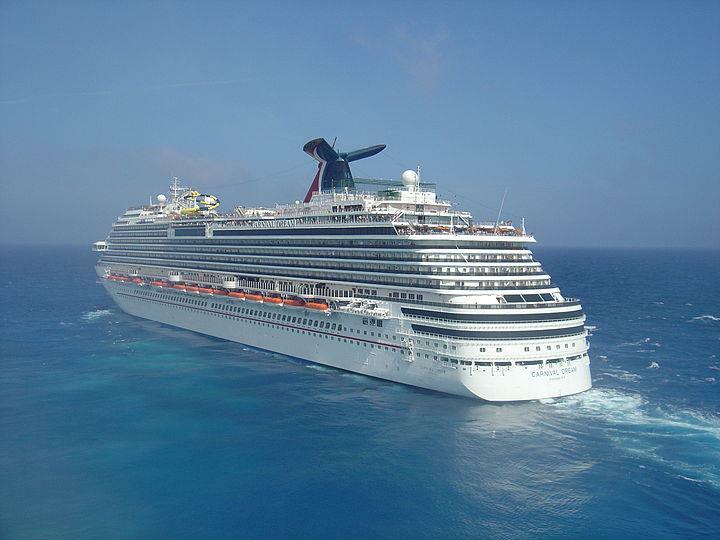 Just one month since the Carnival Triumph fire which left the ship without power and stranded passengers for days, Carnival Corporation has yet another problem with power onboard one of their ships. Earlier this week, Carnival Cruise Lines President and Chief Executive Gerry Cahill had reported that a comprehensive review of its entire fleet had been launched. Perhaps this test was part of that review, and unfortunately this backup generator failed. 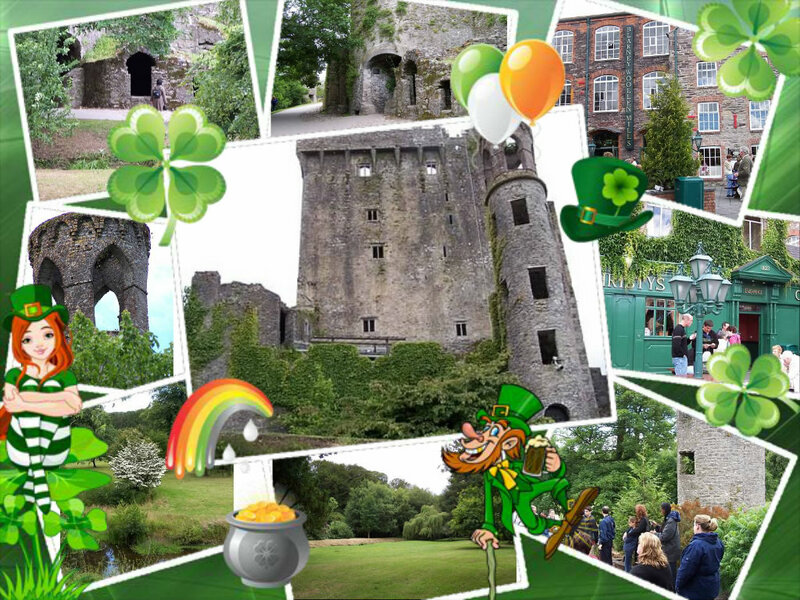 We are also cancelling the ship's next voyage which is scheduled to depart on Saturday, March 16. Guests scheduled to sail on this cruise will receive a full refund and 25 percent off a future seven-day cruise. Guests who re-book will have their current rate protected on the future sailing. 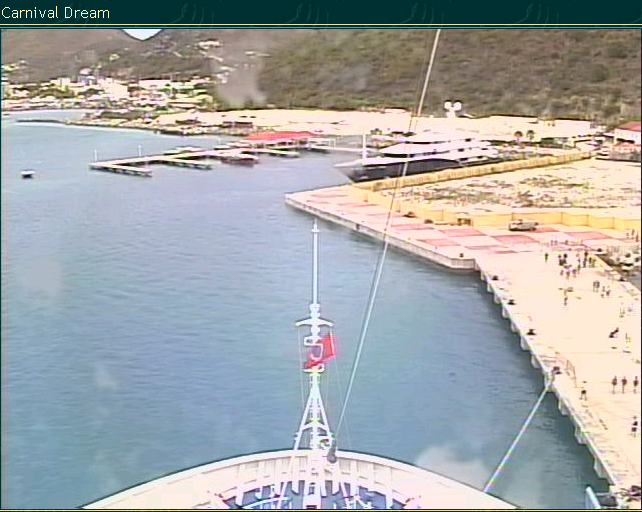 Yesterday was a scheduled port of call visit to St. Maarten. Guests were able to spend the full day in port and have the option of continuing to do so until their scheduled return home. All of the ship's activities and facilities are fully operational. We are very sorry for this disruption to our guests' vacation plans and extend our sincere apologies. We look forward to welcoming them back on another Carnival cruise. 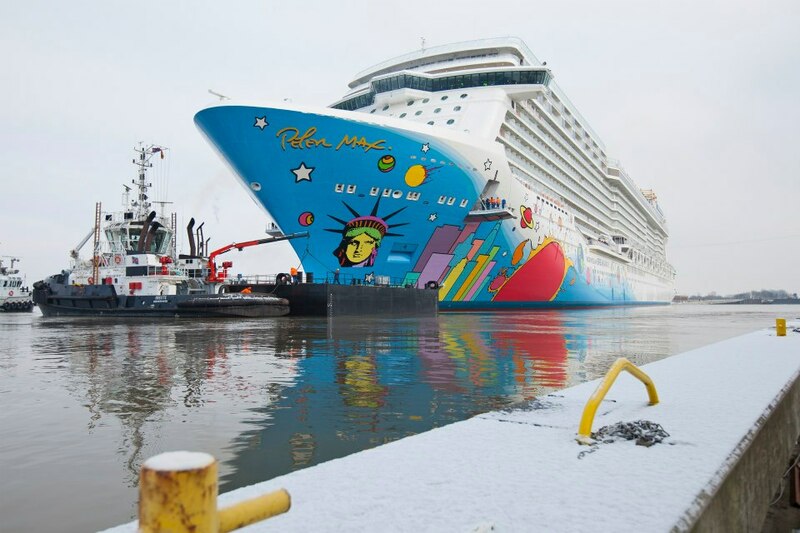 Norwegian Breakaway took another major step towards her highly-anticipated delivery early this morning when she departed Meyer Werft on her conveyance along the Ems River. Leaving Meyer Werft at approximately 6 a.m. Germany time, sailing backwards, Norwegian Breakaway successfully cleared the first set of locks, and then continued along the river to her final destination in Eemshaven, The Netherlands. Norwegian Breakaway is the largest cruise ship to ever be constructed in Germany; therefore, it required very precise maneuvers in order to pass through the narrow passage of the initial locks. The ship, measuring 1063 feet long and 130 feet wide; only had 1.6 meters clearance on the starboard side when it passed through the locks. A team of two were in control of the maneuvers, one in control of the bow and one in control of the stern, to ensure that the passage took place at minimum speed and only placed minimum pressure on the bumpers that lined the inside of the locks. It is an interesting sight to see a ship traveling backwards, but the reason for this is due to the strong propulsion in the aft section of the vessel. Therefore, traveling backwards, or stern first, helps with maneuverability which is a key component when navigating the vessel through such narrow passages. Just announced: Norwegian Getaway will bring the excitement and allure of the Magic City to sea with an all-new entertainment experience, The Illusionarium. A first of its kind, the Illusionarium will envelop guests in the fascinating world of magic, inviting them to experience the astonishing illusions of world-class magicians and supernatural special effects! Also announced, Norwegian Getaway, like her sister ship, Norwegian Breakaway, will feature Fireworks at Sea, a five-slide Aqua Park and Three Story Sports Complex! 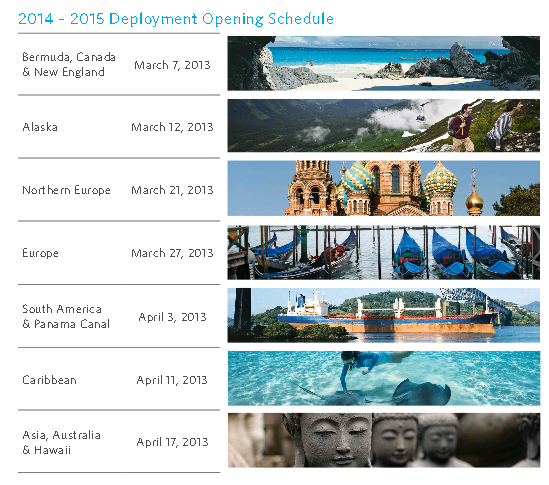 Norwegian Getaway sets sail from Miami in February 2014! Photos courtesy of Meyer Werft and Norwegian Cruise Line. Be sure to visit often as more news about these new ships is unveiled. Celebrity Cruises announced the kickoff of “Celebrity’s World Tour 2014-15,” the brand’s introduction of guest-inspired, destination-rich, modern luxury vacations to all seven continents of the world. The collection of itineraries in Celebrity’s World Tour will be revealed in detail as each set opens for bookings over the next four weeks. 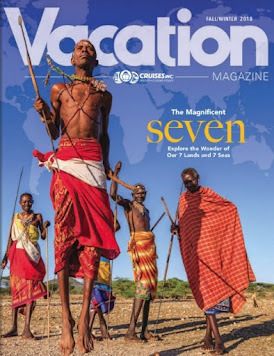 The World tour features destination-rich vacations the in each of the seven continents, with more ports of call, more overnight stays, and the modern luxury style, design, cuisine and entertainment the brand is known for delivering onboard. Celebrity Cruises Presents "Celebrity's World Tour"
To further enhance guests' destination experience, every Celebrity ship in 2014 will offer the services of a Destination Concierge, whose in-depth knowledge of the ports of call on every itinerary will allow the expert to guide Celebrity's guests through every aspect of their adventures on land, including Celebrity Exclusives, or to create special excursions tailored precisely for individual guests' preferences. With Celebrity's World Tour, Celebrity's valued Captain's Club members receive "Priority Access" with the opportunity to be first to book the new sailings with exclusive offers. The first in the portfolio – Celebrity's 2014 Bermuda, as well as Canada & New England – is now open to loyalty members. 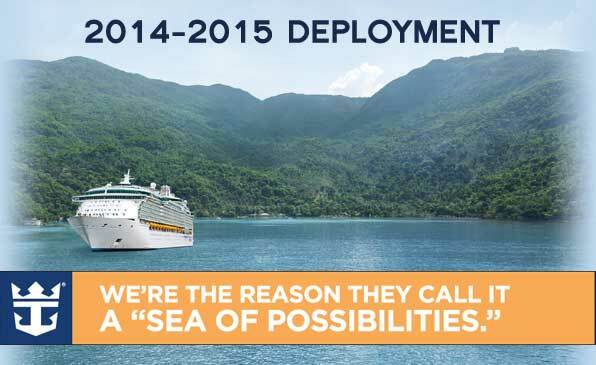 Royal Caribbean Cruise Line has begun announcing their 2014-2015 Deployment Schedule. We will be updating the table below with a link to pages on our website with more details about the ships and itineraries included in each deployment. As of this initial posting, two schedules have been released: the Summer Caribbean and Northeast and the Fall Bermuda and Canada/New England. Select from amongst the following ships: Allure of the Seas, Oasis of the Seas, Explorer of the Seas, Grandeur of the Seas, and Freedom of the Seas. Oasis, Allure, and Freedom feature alternating 7-Night Eastern and Western Caribbean Itineraries. Select from Brilliance of the Seas, Explorer of the Seas, and Grandeur of the Seas. 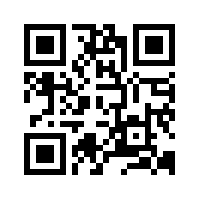 If you havent signed up for our eSavers Newsletter yet, be sure to do so. This is just one of our communication vehicles to keep you informed about industry news and special offers for our loyal followers. 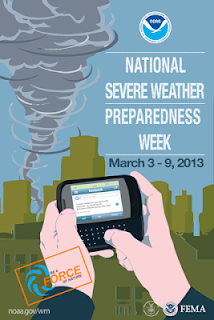 Be a Force of Nature this year with National Severe Weather Preparedness Week, March 3-9, 2013. The Federal Emergency Management Agency (FEMA) and the National Oceanic Atmospheric Administration (NOAA) partnered to designate March 3-9, 2013, as National Severe Weather Preparedness Week, and is calling upon all Americans to Be a Force of Nature. We are committed to Being a Force of Nature and pledges to do so by: knowing the risks, taking action, and being an example for our families and community by sharing alerts and the steps to take. Because we live in an area prone to tornadoes, flash floods, severe thunderstorms, and severe snowstorms, the recent severe weather reminded us that this weather can strike anywhere and at any time. Building a Weather-Ready Nation requires that every individual and community take action because severe weather knows no boundaries and affects us all. Be a Force of Nature by making a public pledge to be prepared at ready.gov/severe-weather. Many states have their own severe weather preparedness weeks. Check the Weather Awareness Events Calendar to find yours. Don’t miss the chance to hit the deck running onboard Allure of the Seas®. 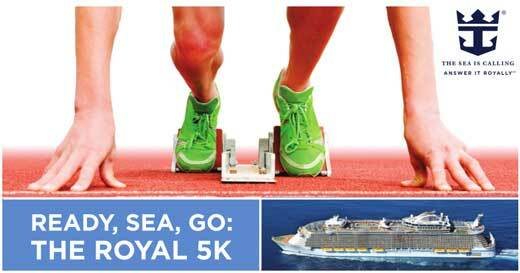 On March 10, this ship sets sail for historic Falmouth, Jamaica, the destination for this year’s Royal 5K. If you are already booked on this cruise, find out about adding the Royal 5K Package. Note: The race does not support any charity, which we think would be an added plus, however all of the above is included for the Royal 5K Package Price of $25. The December race will occur in Philipsburg, St. Maarten. He is now known as Pope-emeritus, and will be residing temporarily at Castel Gandolfo, in the palace used by Popes as a summer retreat until renovations of the monastery inside the walls of Vatican City are complete. Italian President Giorgio Napolitano praised Benedict's "extraordinary courage" in making the announcement that he will resign because he lacks the strength to continue in the post. Spain's King Juan Carlos on Monday acknowledged the hard work and dedication shown by Benedict during his pontificate, and he emphasized the "special relationship" the pope has maintained with the Iberian nation, as "reflected in the three memorable visits" he made to the country. German Chancellor Angela Merkel thanked Benedict XVI for his years of work at the helm of the Catholic Church and wished him the best after his resignation, a "difficult decision" that she said deserved "the greatest respect." "On behalf of Americans everywhere, Michelle and I wish to extend our appreciation and prayers to His Holiness Pope Benedict XVI. Michelle and I warmly remember our meeting with the Holy Father in 2009, and I have appreciated our work together over these last four years," U.S. President Barack Obama said. "The Church plays a critical role in the United States and the world, and I wish the best to those who will soon gather to choose His Holiness Pope Benedict XVI's successor," the president said in a statement. We can't think of a better time than now, during this historic transition in the Vatican, to visit Rome and the Vatican. Whether you are Catholic or not, the Vatican is a beautiful destination within the historic center of the Roman civilization of old. Everywhere you turn is history. There are several cruises and land tours that begin and/or end in Rome or nearby cities. For those opting for a cruise vacation, we encourage you to extend your stay in Rome so that you can visit its many attractions including the Vatican. 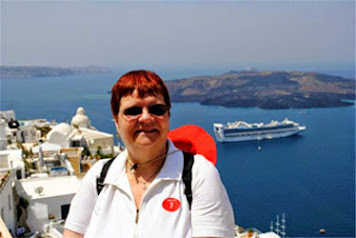 Here are some related articles and photo albums from a recent cruise that included time in Rome.